Looking for an assortment of powerful weapons similar to the ones of real life? Don’tt miss this mod! Flintlock Guns 1.7.2 and 1.6.4 adds a total of 10 new weapons intended for actual ones. You can craft Pistol, Double-Barreled Pistol, Musket, Revolver, and Hand Cannon, and a makeshift stone pistol. Each will give you different types of attacks, duration and effectiveness. You can kill the mobs with the gun, with a single shot, or you can kill a few with the Hand Cannon. You have to keep in mind that these weapons reproduce real life, so you will have to load the ammunition each time the weapon you need to shoot. To do this you have you must craft together an unloaded one, gunpowder, and your ammo. Also, as in real life, your weapon can fail, so reload and try again. If you want, you can repair weapons in an anvil with iron ingots. Pistols, Muskets, and Double-barreled pistols are a guaranteed one-hit kill on any regular mob (unless the ender dragon and wither) and can damage up to 20 hearts. 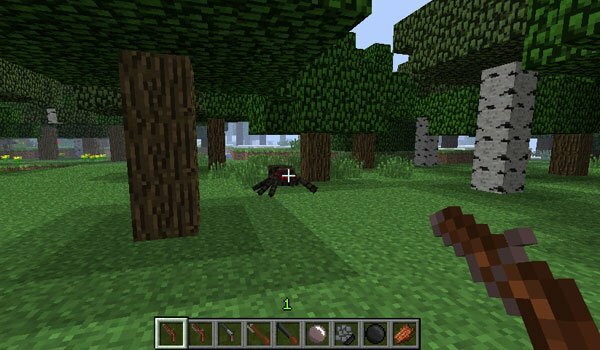 How to install Flintlock Guns Mod for Minecraft 1.7.2 and 1.6.4? Kill mobs with new weapons! shoeld it work for minecraft 1.7.2 ?